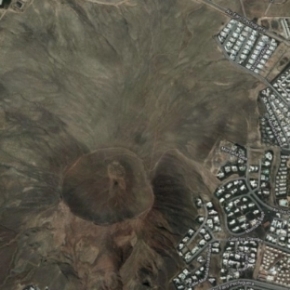 Villas in Lanzarote. Casa Kato. Luxuries: Hot tub, Wi-Fi internet, Internet TV system (incl all BBC/ITV/Sky Sports/BT Sports/Sky Movies, Large film collection, Xbox/Playstation, Heated swimming pool, Air-conditioning. Utilities: Washing machine, Dishwasher, Cooker, Microwave, Fridge/Freezer. Outside: Table and chairs, Outside seating area, 6 x sun loungers, BBQ, Gardens, Fully walled. Parking. Welcome Pack: Bottle of wine, tea, coffee, sugar, milk, biscuits. Casa Kato is a fantastic luxury villa with one of the best views in Lanzarote. Not only does it boast a fabulous panoramic view of sea and mountains, you get to enjoy it in full privacy (walled on both sides) from the large sun terrace or in the 5/6 seater jacuzzi. This is one view you can sit and admire for hours! Other great features include, the swimming pool (electrically heated to a pleasant 28 degrees all year), wi-fi internet, Internet TV system (incl all BBC/ITV/Sky Sports/BT Sports/Sky Movies/Irish TV/German TV/Russian TV), Playstation and a large stone barbecue. Inside, the villa is impressive with quality furnishing throughout. The lounge area has two comfortable settees, and there is a DVD player as well as the satellite TV. An excellent selection of DVDs, CDs and books are available. The modern kitchen includes a dishwasher, microwave, oven/hobs, fridge/freezer and washing machine. Outside there is an al-fresco style dining area with large table and chairs seating eight. All the bedrooms are a good size. Two bedrooms have double beds (one kingsize) both with en-suite bathrooms with jacuzzi style baths and overhead showers. The third bedrooms has twin beds. A fourth bedroom has been converted into a second living room but can also be used as a bedroom with a double sofa bed. There is a third bathroom with a walk in shower. All the bedrooms have excellent wardrobe space. A cot and highchair are also available at no extra charge. All in all a great villa we feel sure you will want to return to year after year. Casa Kato is located on the side of the Montana Roja volcano hence it's amazing view. The volcano is very deceptive. From the bottom it appears as if it has a small peak, however when you walk up there, you will find a large crater which you can walk around or inside. 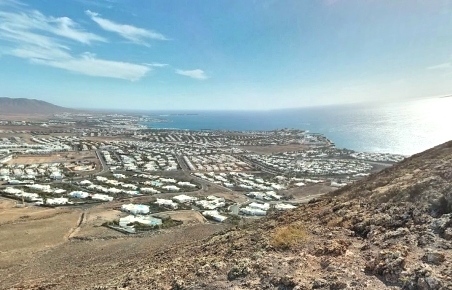 It takes about 30 minutes to walk to the summit from Casa Kato, and the views over Playa Blanca are stunning. The downside of being on the side of the volcano is that there are no shops or restaurants particularly close. There is a mini market lower down the hill (about a 20 minutes walk away) and it is a further 15-20 minutes to get to Playa Flamingo Beach, where there are a number of restaurants / bars. Playa Blanca centre is then a further 20 minutes walk along the coast. For stays>3 weeks - 10% discount; stays>6 weeks - 20% discount.